Here is Why EasyTeam Succeeds! The dream of working for yourself is possible with the right tools and the right business. The real trick is to find your passion. Start with the Basics and Team LGT! Indiana Water Filters has a passion to make sure every household has a home water filtration system. The things that contaminate our water supply increase all the time. From drugs to pesticides, the more contaminants we can remove from our own drinking water, the better we will be. Not only is the water we drink vital to our survival, but so is the food we eat. Processed food, fast food, artificial ingredients and GMOs are making everyone ill. To keep our bodies healthy, our bodies need the right nutrients. When we feed our natural bodies unnatural food like substances, we become unhealthy. Purium Healthy Products is committed to teaching us how to eat healthy and give our bodies the complete nutrition it needs to stay healthy and fight illness, disease and even the effects of aging. This is my chosen passion. I hope to spread the word about being healthy and enjoying life to its fullest. Drink safe water and eat healthful foods. 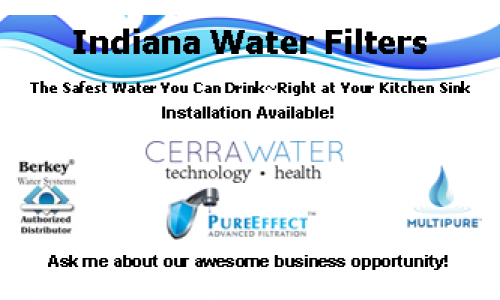 Indiana Water Filters and Feed Your Health. Find the perfect combination of health and wealth. Katrina has been on ApSense since I joined years ago. She is very productive in writing articles sharing information and helping newbies both in the information and insights she passes on and in giving them the courage to start a blog. Janet Legere always encourages her downline to write and article right after her weekly meeting with the title :" What Learned Today". Karina not only shares but I am sure some of her articles encourage others to write what they have learned about the subject. 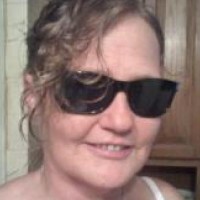 Katrina is a Wordpress and design web page pro! Not only is Katrina Knowledgeable in many areas she is also a great person you can talk to about anything. We are delighted to be connected with Katrina Oakley and recommend her as a Mentor to those who desire to expand their residual income. Meet Other Happy Multi-Pure Distributors!